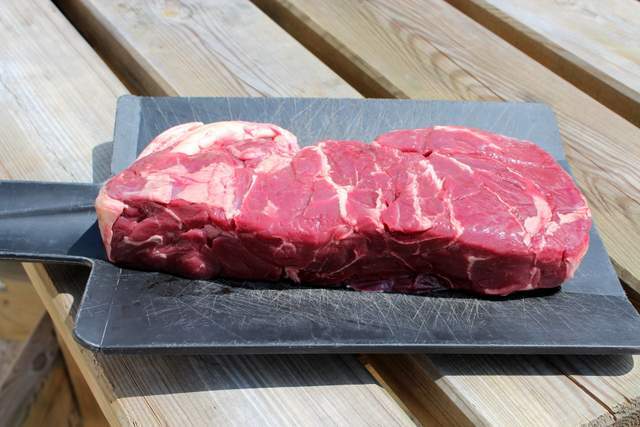 Having recently been the happy recipient of 10 kilos of grass fed beef made up of various cuts and chunks, I have been planning and plotting how best to make use of it all. As part of my magnificent melange of meat, there were two large chunks labelled simply as ‘Pot-au-feu’. Well, we certainly don’t have a cut of beef called ‘pot on the fire’ in the UK so this is one of those times when a little investigation was required. It turns out that this hunk of beef is usually brisket and is perfect for long slow braising. 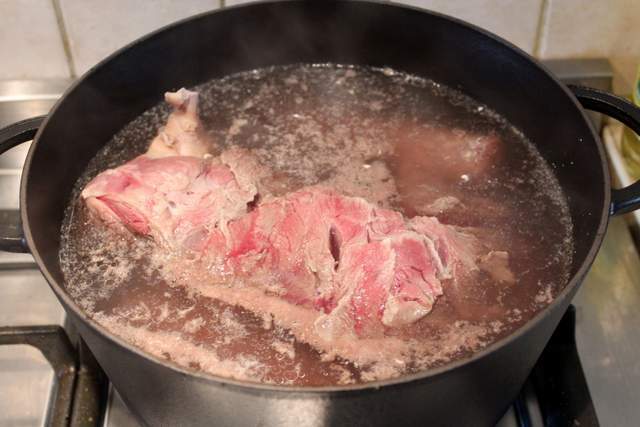 In fact, a Pot-au-feu is one of the most traditional family dishes in France. Naturally, each region has their own spin on it but the original idea and name comes from the old days when a large pot would simmer away over an open fire, to which new ingredients could be added over days and so it stretched into many meals for many mouths. I researched some recipes and found some that were seriously opulent brimming with every type of meat you can imagine; beef, veal, pork, sausage and duck, all in one pot! A true meat feast in every sense of the word, that could feed a small army. In the end, I opted for something more modest and in keeping with my notion that just such a pot would have sat over our fireplace in years gone by and fed the farmer and his family who lived here. A Pot-au-feu is not a stew as we Brits understand it. It is more of a pot roast. The striking difference for me is that the end dish is served in two distinct ways. First they serve the soup made simply of the cooking broth as it comes, or sometimes with some vermicelli pasta added. Unlike British soups, which are thicker and usually consist of blended ingredients, this is quite simply the thin cooking stock from the pot, but boy it’s tasty! And after the soup course, they serve the meat alongside the vegetables that it has been stewed with. 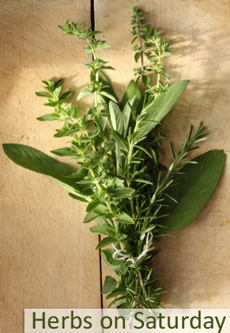 Garnishes could include some gherkins or mustards or perhaps a tomato sauce flavoured with capers. This is the epitome of uncomplicated rustic food. For my Pot-au-feu I stuck to some traditional elements whilst adapting the end dish to suit my family’s tastes a little better. My kids are tricky to feed at the best of times and I think a dish with vegetables which have been cooking for 4 hours served alongside some gherkins might have been a step too far! Rather than every type of meat known to man, I just used my beef and also a chunk of saucisson as I thought that would add bags of flavour to the broth. 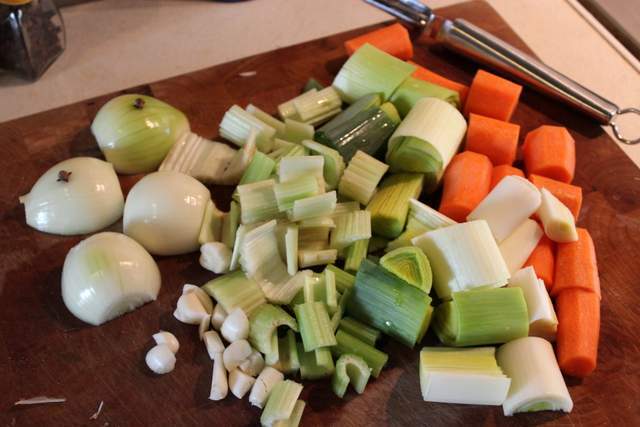 As it came to a simmer, I skimmed the grey froth from the surface and then I threw in carrots, leeks, celery, garlic, and onion studded with cloves and a bouquet garni. I popped the lid on and left it to do it’s thing for 4 hours whilst I went into the garden to do weeding and play catch with the kids in the sunshine. But back to the dish. The meat just pulled apart into juicy morsels which I served with some mashed potato and courgette. 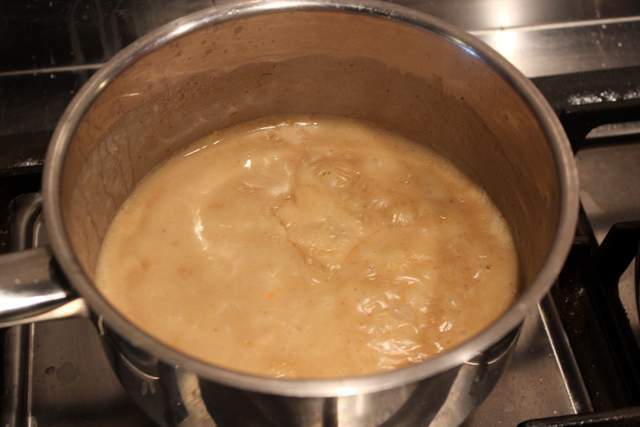 I quickly made a sauce with a roux and a few ladles of the cooking broth. I added a squeeze of anchovy paste, a teaspoon of maple syrup and a dollop of creme fraiche and dinner was served. It was wonderfully tender and packed full of beefy flavour. The saucisson was a fortuitous addition and became soft and succulent. 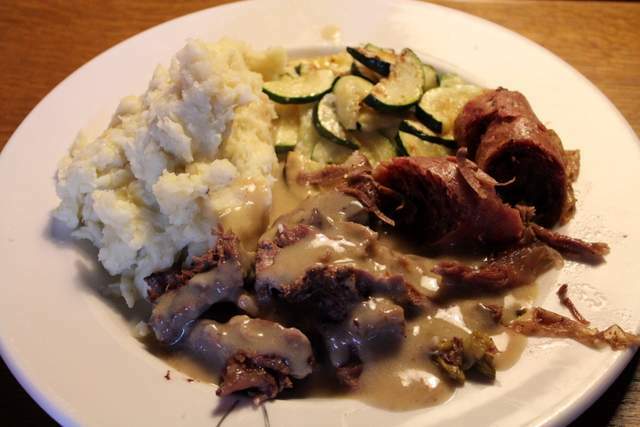 The rich, creamy gravy complimented the meats perfectly and all in all it was a very satisfying and wholesome meal. There were plenty of left overs and also the stock still to be used for soup so it was a great value dish that went a long way and tasted superb. This dish proves that cooking does not have to complicated to get fabulous results. I highly recommend you give it a go. 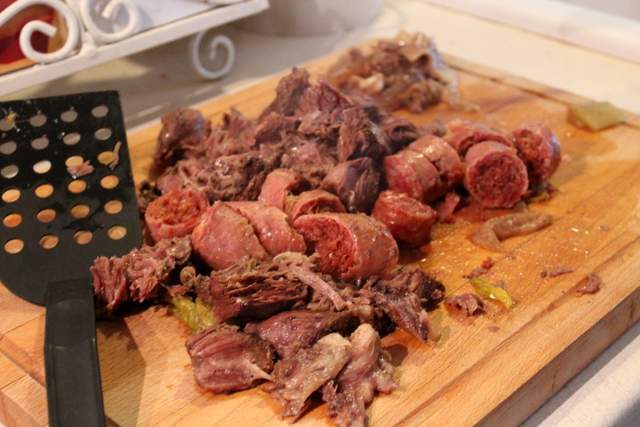 Place the beef and saucisson into a thick based cooking pot with a lid. Cover with water and place on a low heat to bring it up to simmer slowly. Once simmering, over the first 15 minutes or so, a grey froth needs to skimmed off the top of the broth. Once this froth stops being grey and turns to paler white you can stop skimming. Meanwhile prepare your vegetables. Peel the carrots and roughly chop all the vegetables into good chunks. Stick the cloves into the onions and add all the vegetables to the pot. Put the lid on leaving a slight gap for the steam to eascape and simmer on a low heat for 4 hours. After the 4 hours, remove the meat to a chopping board. Drain the broth and squeeze out all the juices from the vegetables into a container to use another time and then discard the vegetables. In a small saucepan, melt the butter and then stir in the flour to make a roux. Gently add in the ladles of broth and stir consistently as the sauce thickens. Add the anchovy paste and maple syrup. Let this cook for a few minutes and then stir in the creme fraiche. Your sauce is ready. Cut your saucisson into slices and pull the beef apart into chunks – no need to be too fussy. Serve with mashed potatoes and some courgettes and the creamy sauce. This dish was tough to make look pretty but trust me when I tell you it tastes beautiful even if it doesn’t look it! I am entering this dish into Credit Crunch Munch co-hosted by Helen from Fuss Free Flavours and Camilla from Fab Food For All as this dish really does go a long way and uses a cheaper cut of beef. 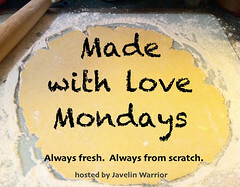 I am also entering this into Made With Love Mondays hosted by Javelin Warrior, as it was made entirely from scratch and of course with love. And finally, I am entering this into Herbs On saturday hosted by Karen from Lavender & Lovage. 18 Comments on "Traditional French Pot-au-feu (Pot Roast)"
Another delicious sounding dish and I love your addition of maple syrup and creme fraiche at the end, I can imagine they go really well especially with the sausage. Thank you for entering this fab dish to Credit Crunch Munch. I often add syrup to my sauces. It adds just a subtle note of sweetness which really works, a great secret ingredient. Glad you like the dish. Oh lovely, I’ve never actually made a Pot au Feu either but have been meaning to. Your recipe sounds fantastic, as ever. Must be a hell of a task cooking your way through 10 kilos of fabulous beef, lucky you!. And well done on the BIBs – I have of course cast my vote! What a delicious dish and one I love to make but haven’t for a long time. The broth is my favourite bit, so packed full of flavour, just heaven! Thanks Laura. I used my broth to make onion soup the following day. It was seriously good! And yes, I am over the moon about the BiB nomination. A very happy surprise! Huh, I thought I’d left a comment here on this already, but it seems apparently not. That piece of meat looks lovely – I didn’t even know there was such a cut called that in French, but it’s good to know the translation. Another weapon in my armory for when I’m trying to make some authentic dishes every now and again. I don’t think I had a traditional pot-au-feu before, despite being here for goodness knows how many years. 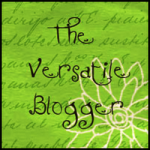 Looks lovely – well worth a try! You must try a Pot-au-feu Charles, I am sure you will enjoy it. I too had not made one until now and I am so glad I have! It’s a really delicious family dish that I know I will make often. Like your brining, it makes these cheaper cuts of beef really tender and succulent. That is a beautiful piece of Pot-au-feu meat! How lucky you’ve got 10 pounds of goodies to work with. Good luck with the contest. Merci beaucoup Karen. C’etais vraiment delicieux! What a beautiful and delicious dish Anneli! I love Pot-au-feu but rarely make it. You’ve inspired me and now I’ll have to put this on my menu next week. Made me hungry just reading the post!